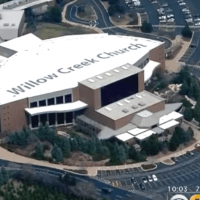 (Stoyan Zaimov – The Christian Post) Scot McKnight, a scholar and former member at Willow Creek Community Church, has asked why churches are making employees sign non-disparagement agreements. “Why in the world is a church in this situation? Are not Non Disparagement Agreements already an admission that something is seriously wrong?” McKnight asked on his Jesus Creed blog on Thursday. This news story from The Christian Post is posted for informational and research purposes and not as an endorsement of the site.